Hummingbirds are incredible creatures, mostly seen darting from place to place, often before your eyes have a chance to focus. On occasion though you’ll catch one pausing long enough to sip nectar from a flower, perfectly suspended in mid air, their wings flapping an astonishing 80 times per second according to Defenders of Wildlife. It really is a spectacular sight. There’s seemingly no downside to attracting these friends to our backyard gardens. Promolife notes that hummingbirds can both be instrumental in pollination of your garden while also eating small bugs that might cause damage. Attracting hummingbirds is simple. One can easily obtain a hummingbird feeder and fill it with a simple sugar and water mixture. Another great way to attract them is by growing plants that have red, tubular flowers, full of the nectar they love. 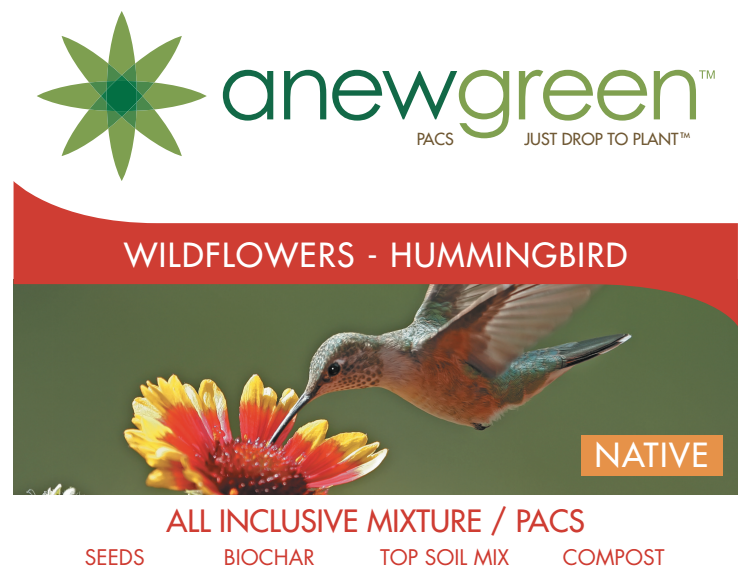 Our brand new Wildflower Seed Pacs contain a blend of wildflowers designed specifically to call hummingbirds right to your garden. Click here to purchase these and others from our wide variety of Seed Pacs. Also be sure to leave a comment about your experience or share with us on Twitter or Facebook.